Is this the best piece of “branded social capital” ever? The other day I was out running in an 11-year-old t-shirt, and it dawned on me that it’s probably the best piece of “branded social capital” I’ve ever seen. Branded social capital, my definition: an asset (physical or digital) which a brand provides to a consumer, which in turn gives the consumer some degree of kudos amongst their social circle… whilst simultaneously reflecting well on the brand. Whenever I have a chance, I love to stick on my trainers and hit the road for run. I’ve been doing it for as long as I can remember, and it’s when I come up with my best ideas (that’s not saying much I know…). Now, as a responsible runner I always try to ensure that I can be seen by other road users – mostly by wearing a bright coloured t-shirt. The other day I was out for a run wearing a luminous yellow Nike t-shirt from a 10km race I ran in… oh my, was it really 2004. 11 years later I still don that T-shirt every couple of months and amazingly it’s still in good condition. It’s unmistakably a Nike product. You can’t miss it because of the colour. It’s excellent quality, which means it’s good to run in, hence I’ve pounded the streets of London, advertising Nike for free, for 11 years. 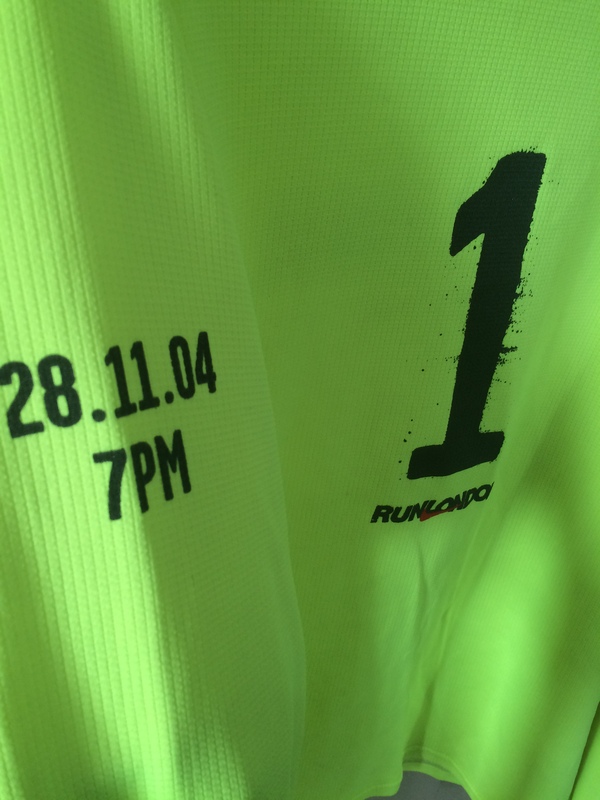 I was an ok runner back then, so I qualified for a shirt with a big number “1” on front. At the time, and now, that makes me feel good! I have a real attachment with the t-shirt, more than any other piece of running apparel I’ve owned. The date-stamp gets me reminiscing about a fun time. Other brands can learn a lot from this behaviour, whether it’s as a physical or digital activity. How do you make your customers feel special, while also happily showing off your brand for you?